Who doesn't love a creamy, rich, flavorful gravy you can drizzle onto your potatoes? But don't stop there, you can pour this one on just about everything! It's that good! In a large skillet, heat the oil over medium-high heat. Add the onions and cook until soft. Combine the nutritional yeast and flour, then add the mixture to the sautéed onions. Lower the heat to medium and continue cooking for 1 to 2 minutes stirring continuously. In a separate container, combine the water, tamari, and thyme. Slowly add the liquid whisking continuously. Cook until the gravy begins to bubble and thicken. 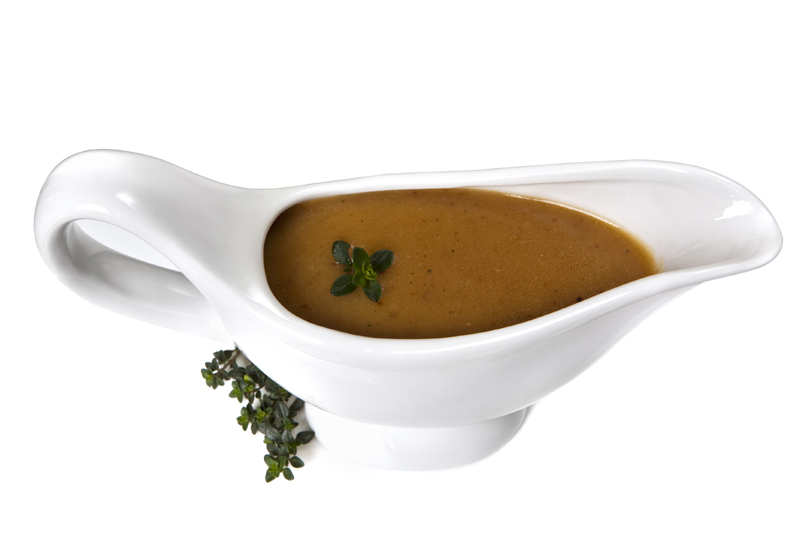 For a completely smooth gravy, run an Immersion Hand Blender through the gravy for a minute or two, until smooth. Keep any leftovers in the fridge for up to three days, or in the freezer for up to three months; simply thaw, reheat, and enjoy!